Labor Day Weekend is coming soon and there will be plenty of fun things to do in Savannah during your stay at our Savannah Historic District lodging. During Labor Day weekend, be sure to stop by Savannah’s Historic River Street. Free and open to the public, festivities begin at 9 a.m. Shops, restaurants, bars and clubs will be open and there will also be vendor tents with arts & crafts. Live entertainment will be performing on the street and onstage, so be ready to dance. 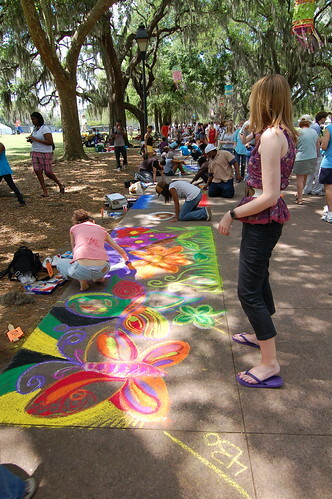 For more information, call (912) 234-0295 or visit RiverStreetSavannah.com. On Friday, August 31 from 6-9 p.m., the International Grand Tasting will take place at the Westin Savannah Harbor Golf Resort & Spa at 1 Resort Drive in Savannah. Try craft beers paired with world cuisine, all enjoyed with a Savannah River view. The fun continues on Saturday, September 1 with seminars starting at 10:30 a.m. and tastings continuing from 11 a.m. to 5 p.m. at the convention center. Over 130 brews will be on offer. VIP passes are available for the first time this year. VIP guests can check out the lectures and they get priority entrance into the Grand Tasting. On Sunday, September 2, from 3-10 p.m., Brew Fest ends with the first annual Rhythm & Brews Concert in Savannah. It will be held outside the Westin Savannah Harbor Golf Resort & Spa at the Grand Prize of America Road Race Track. Doors open at 2 p.m., so arrive a little early with your chairs and blankets. Get comfortable, enjoy the craft brews available at the concert and dance to Heavy Pets, Stokeswood and Jason D. Williams, Sister Hazel and the North Mississippi Allstars. With all these great events, plus Savannah’s historic charm, a long weekend vacation in Savannah is a perfect way to enjoy Labor Day. There’s still time to book one of our luxury Savannah rental properties in time for your Labor Day weekend in Savannah, Georgia.